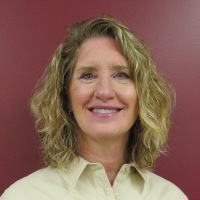 Gwen has been a member of our team since 2007, serving as the Director of Treasurer Services and Office Manager. She also has over 18 years of experience as a co-owner of numerous real estate management and investment partnerships. In 1980 Gwen obtained her Bachelors of Arts Administration and Political Science from Concordia College. Gwen is a Board Member and Past Treasurer of Milford Miami Township Chamber of Commerce, Past Vice President and Former Member of Board of Trustees of Greater Milford Area Historical Society, Organizing Committee Member and Marketing Chair of Milford Street Eats Festival, Member of Milford High School Business & Industry Advisory Council, a Member of Dining for Women, Cincinnati, Ohio, Former Church Delegate to West Ohio Annual Conference of the United Methodist Church, Former Chairperson of Mission Committee, Former Member of Administrative Council and Former Member of Finance and Pastor-Parish Committees of the Anderson Hills United Methodist Church, Cincinnati, Ohio. She also is a volunteer at City Gospel Mission, Cincinnati, Ohio, City Link, Cincinnati, Ohio, First Impressions Teams at Crossroads Church. She is a Former Volunteer for New Richmond Food Pantry and Former Junior Achievement Teacher at Rosa Parks Elementary and New Richmond Elementary.